You definitely care: The Olsen twins are absent from the cast of Netflix’s decades-late Full House sequel Fuller House. The reason? They’re not actresses, according to Uncle Jesse. When Fuller House was announced, Mary-Kate and Ashley were reportedly kind of flabbergasted, and claimed that no one had told them about it. Mary Kate even said she was “shocked” that Stamos never reached out. “I mean, it’s called Fuller House,” I believe Mary-Kate added, with a half-laugh. 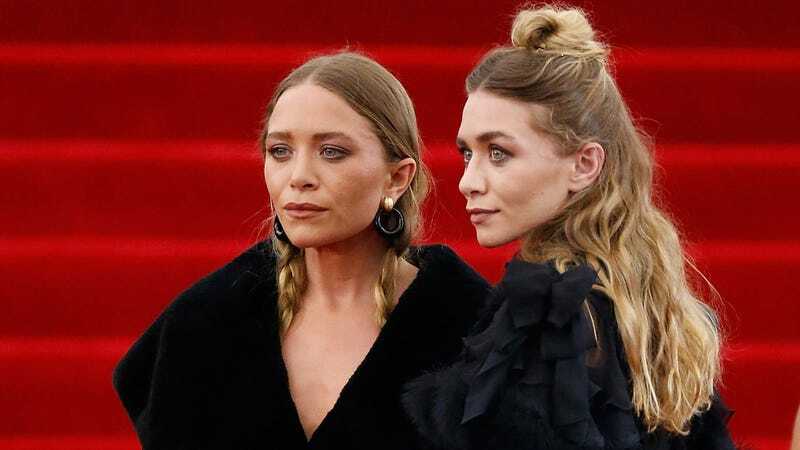 It’s true that the Olsen twins haven’t acted in years; they’re too busy becoming respected fashion designers, and perhaps have forgotten their roots. But we shouldn’t make the same mistake and act like It Takes Two doesn’t exist, or that one episode of Sister Sister.